The Arrow DBS is the perfect blade finishing option for printers up to 13″ wide. The automated web guide allows for precision never before seen on a blade finisher. Dual cutting heads allow for high-quality cuts to be made at twice the speed. Add two additional heads for even higher through speeds. 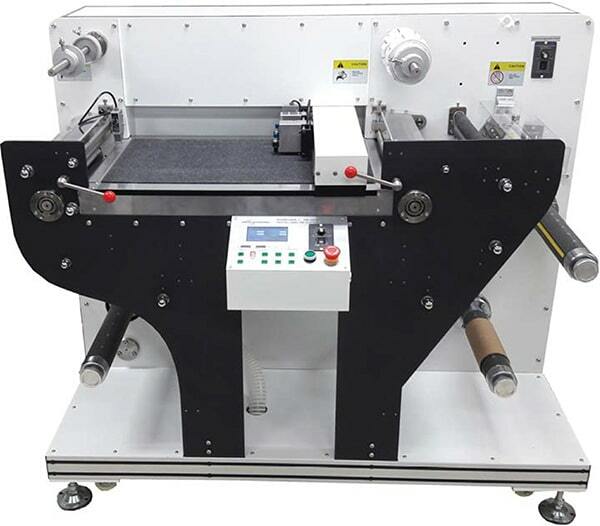 The Arrow DBS is a full finishing option for label stock up to 13″ wide. The in-line web guide allows for precision never before seen on a blade finisher. Lamination, slitting, and matrix removal allows for high quality finished labels to be produced on demand.